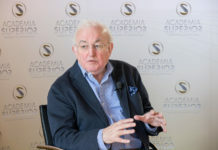 There have been some blind-spots in the talk between Lord Brian Griffiths and Alan Webber about the Brexit and Donald Trump, says John David Cima. The use of identical slogans in both the US presidential and Brexit campaigns such as, “Getting our country back”. The fact that immigration was a major voter concern in the parallel campaigns and that its exploitation by Trump in the case of Mexicans and the Brexit lobby with regard to Poles and other EU migrants (non-UK EU residents were also excluded from the vote), has resulted in a sizeable increase in hate crime in both the USA and the UK. The clear indications that the votes in the USA and the UK were largely anti-establishment and had little to do with actual political or economic issues. In the USA, Clinton and Sanders were rejected by many Democrat supporters and in Great Britain, traditional Labour voters also turned against their own party and its “remain” recommendation, as first and foremost the target was David Cameron and his Eton and Oxbridge-trained associates. It was their assumption that they would win easily that led to the referendum in the first place and their failure to install a two-thirds majority clause that culminated in defeat (12.9 million voters did not vote). It is also worthy of note that although it is well known that Trump actually lost the popular vote in the USA, the fact that despite being enfranchised for the Scottish referendum, voters aged 16 to 17 in the UK, whose future was actually at stake, were excluded from the Brexit vote is often ignored (in the meantime, 563,000 young Britons have become eligible to vote). 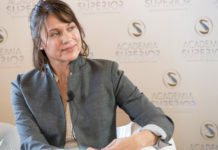 The making of completely impractical promises such as the revival of “rust belt” industry in the USA and huge funding gains for the UK’s National Health Service of GBP 350 million per week. The parallel universe in which millionaires like Trump, or personages such as Lord Griffiths, who has stoutly defended exorbitant bank bonuses, care about the poor or underprivileged. It was somewhat cynical of Lord Griffiths to refer to the people of his South Wales homeland in such glowing terms, when he knows perfectly well that as a minion of Mrs Thatcher (the spiritual godmother of Brexit), even today he would be extremely unwelcome within 20 miles of the nearest coal mine. The notion that the poor actually played a massive role in either votes, when registration is beyond many of the underclass in the USA and the BREXIT vote had far more to do with age and education than with poverty. In this connection, it is especially ironic that many of Trump’s plans with regard to environmental protection will hit struggling states such as Tennessee hardest and deprived areas in Great Britain such as Teesside (which voted out) stand to lose EU regional funding. The mirror image created by Trump supporters saying that his period in office has only just begun and that he will eventually succeed in, “Making America great again” and Lord Griffiths stating that the British, “Have a spring in their step” (sind beschwingt). This may well be due to the fact that at the moment Trump’s complete lack of any coherent policy has yet to have a concrete impact upon the population at large and that we not only have “fake news”, but also “phoney Brexit”, for apart from the diplomatic note invoking Article 50, nothing has actually happened and the UK remains a member of the EU. Last, but not least, no mention was made of the shared border problems, for if Trump’s Mexican wall is an issue, it is nothing compared to the problems facing the UK with regard to Northern Ireland and Gibraltar, not to mention the possibility, however farcical, of Scottish independence. I could continue at some length with regard to Lord Griffiths’ talk of the UK’s glowing economic future once it has deserted its main trading partners in the EU (54.3% of UK exports) and has entered into free trade agreements with Australia, New Zealand, China and the USA (14.8% of UK exports), which in view of the Trump administration’s longing for protectionism would seem to be something approaching wishful thinking. However, I will close at this point in the hope that at the very least I have demonstrated some of the major deficits in Saturday’s discussion. Mag. 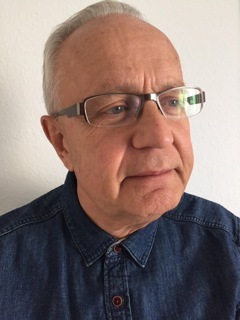 John David Cima, born in London and living in Linz since 1977, has more than 50 years of experience at national and international level as a designer, illustrator, art historian, lecturer, art director, trainer, event manager, PR consultant, interpreter and translator. 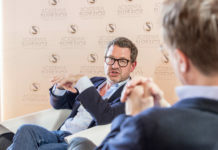 Kai Diekmann – Medien außer Kontrolle?